The guide to antique stores and dealers in Santa Fe and Las Vegas. 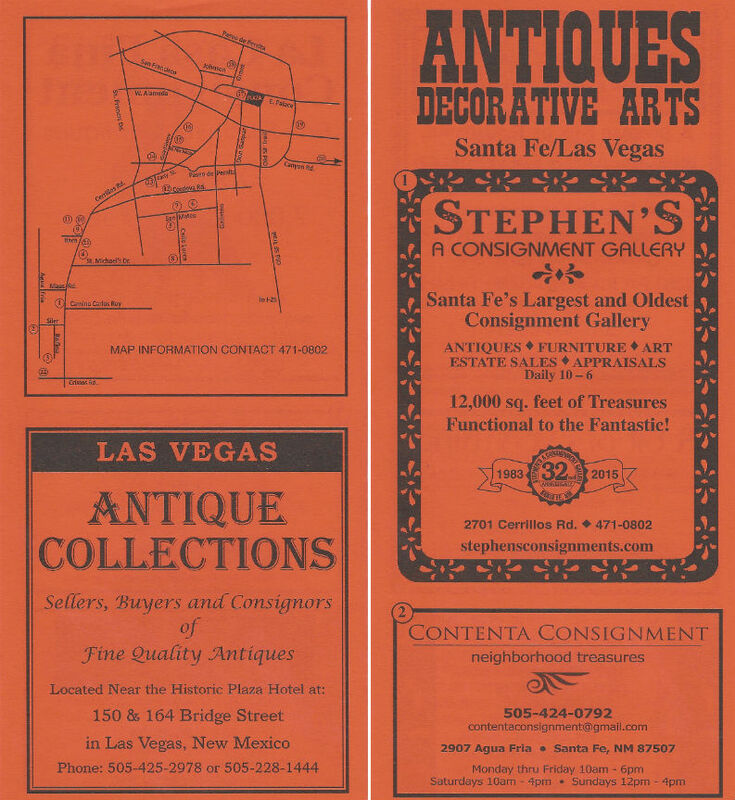 24 antique stores and dealers in Santa Fe and Las Vegas featured in one fold-out guide with map. Features some of Santa Fe’s most eclectic and spirited collectors.